It’s time again for our favorite segment of the week, “New Tracks on the Trail,” when we feature new work all day Tuesday – some from artists you already know and love, others from lesser known artists who, well, you should perhaps be more aware! Among this week’s track listing is the new single from Wilco and work from a couple bands slated to play Missoula this fall. original tracks and is set for a Sept. 9 release. –Drive-By Truckers: A track off the alternative country/southern rock band’s 11th studio album, American Band, due Sept. 30. The band will bring their 20th anniversary tour to Missoula on Sept. 28. –Blind Pilot: Work from the Portland indie folk band’s first album in five years, And Then Like Lions, due Aug. 12. Blind Pilot has embarked on a national tour that will bring them to Missoula Aug. 10. 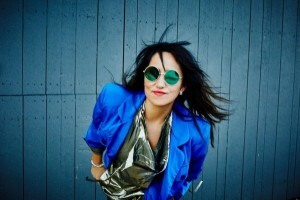 –KT Tunstall: A new track off the Scottish singer/songwriter’s fifth studio album, Kin, due Sept. 9. Tunstall says she considered leaving music before finding revived passion in Venice Beach, California, where she enrolled in the Sundance Institute’s Film Composer’s Lab. 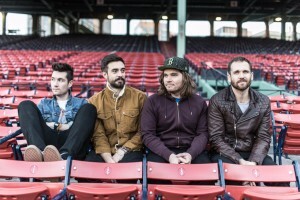 –Bastille: A track off their highly anticipated followup to their multi-platinum debut, Bad Blood. The new 14-track album, titled Wild World, is scheduled for release Sept. 9. In the meantime, the English indie rockers continue their world tour – including a stop at Lollapalooza on Wednesday.